A perfectly sized SUV for a great big world. The Hyundai SUV family is growing with the upcoming release of the first-ever 2018 Kona in March. Nimble maneuverability meets the high perspective point of a traditional SUV to give the driver a stress-free enjoyable ride. With bright colour choices, adventurous styling, and practical yet sporty nature the first-ever 2018 Kona stands out from the crowd. Despite the Kona being slightly lower in height and shorter in length than the other sub-compact SUV's in its class, it has a sportier wider stance allowing for a more thrilling driving experience. To maximize the interior cargo space and minimize the invasion from the rear suspension, Hyundai optimized the placement of the AWD drivetrain and exhaust system. This optimization allowed for ample headroom, cargo area and ease of entry and exit. The 2018 Kona's roomy 544L cargo area features standard split-folding rear seatbacks and a dual-level floor that folds down almost flat to maximize its interior space. The first-ever Kona comes standard with a 2.0L four-cylinder 147 hp engine paired with six-speed automatic transmission or a more powerful 175 hp turbocharged 1.6L direct-injection engine mated to a dual-clutch 7-speed automatic transmission. The Kona will not feature a CVT transmission to ensure a livelier performance for its drivers. Drivers will be able to adjust the Kona's throttle responsiveness by selecting Normal or Sport driving modes. Whichever platform you go with will not matter as both come with front-wheel drive or all-wheel drive configurations. The interior of the 2018 Kona is nicely arranged and highlights a 7.0-inch stand-up touchscreen display. 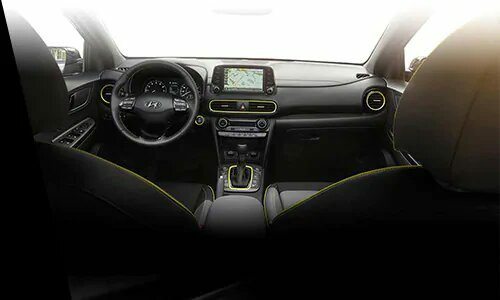 The center placed entertainment system features standard voice recognition, HD radio, Sirius/XM radio, Hyundai's BlueLink LTE connectivity and Apple CarPlay and Android Auto capability. Other features on the first-ever Kona include Head-Up Display, rear-view camera, wireless charging, remote start with door unlocking, and stolen car recovery. 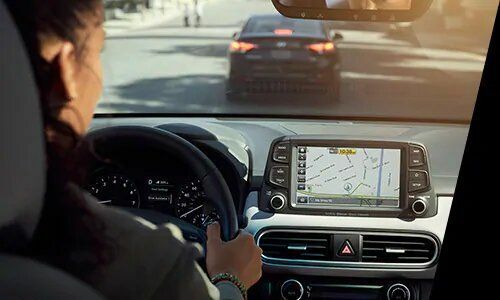 A larger 8.0-inch touchscreen will be available as an option and includes navigation with real-time traffic flow data and Infinity premium audio. 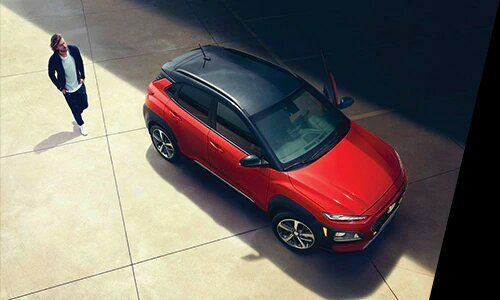 A lavish collection of powerful safety features will be available on the 2018 Hyundai Kona; forward collision-avoidance assist with pedestrian detection, blind-spot collision warning, lane-keeping assist, rear cross-traffic collision warning, and park distance warning. 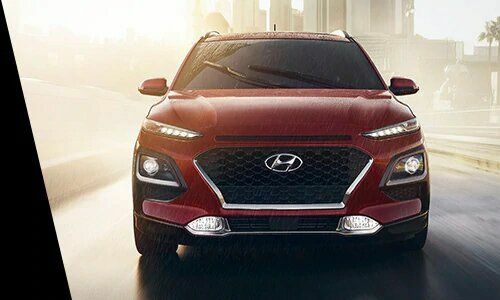 *All-in price of $23,430.00 is for the 2018 Hyundai Kona FWD Essential. All-in price includes Freight and PDI of $1,805, Air Conditioning Charge of $100, E.H.F of $17.00, $499 Admin Fee and $10 OMVIC Fee. License, insurance, registration, and applicable taxes are extra. Dealership may sell for less.